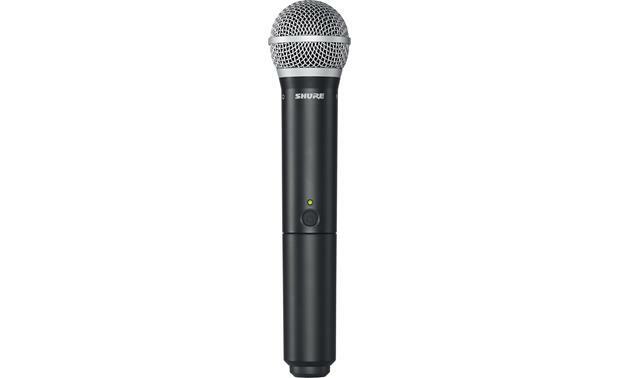 Overview: The Shure BLX2/PG58 Handheld Wireless Microphone consists of the PG58 Handheld Microphone with a BLX2 transmitter. The microphone operates on the H10 frequency band (542 to 572 MHz), and has a transmitting range of approximately 300 feet. Note: You will need a Shure Wireless Microphone Receiver, such as the BLX4 or BLX88, that also operates on the H10 frequency band.